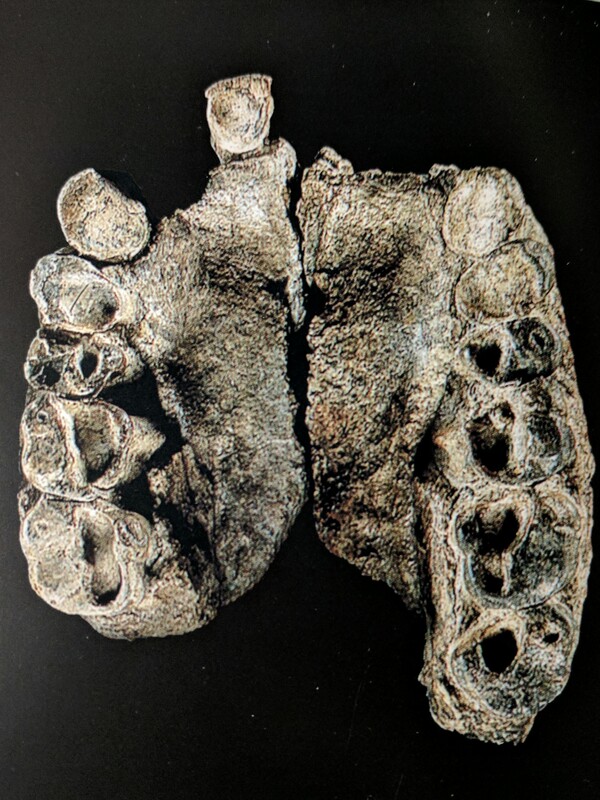 KNM-KP 29283 is a 4.17 - 4.12 million-year-old Australopithecus anamensis maxilla that was found in East Africa. 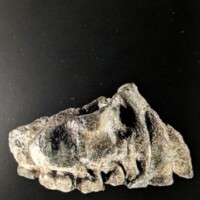 This adult maxilla, as can be seen in the picture, is not as complete as the mandible appointed as the Au. anamensis type specimen. Based on the material present, it is apparent that this maxilla has a very shallow palate with roots that indicate the possible existance of large molars. The single canine that is present is larger than those seen in Au. 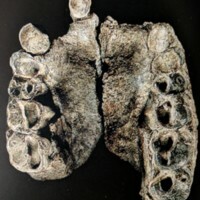 afarensis, but is smaller than those seen in earlier hominids. Additionally, when examined from a lateral view, one can see the presence of incisor jutting. Hefner, Joseph. "Australopithecus anamensis." Michigan State University, 23 Feb. 2012, East Lansing. "Australopithecus anamensis: KNM-KP 29283." eFossils, www.efossils.org/page/boneviewer/Australopithecus%20anamensis/KNM-KP%2029283. Accessed 12 Apr. 2017. 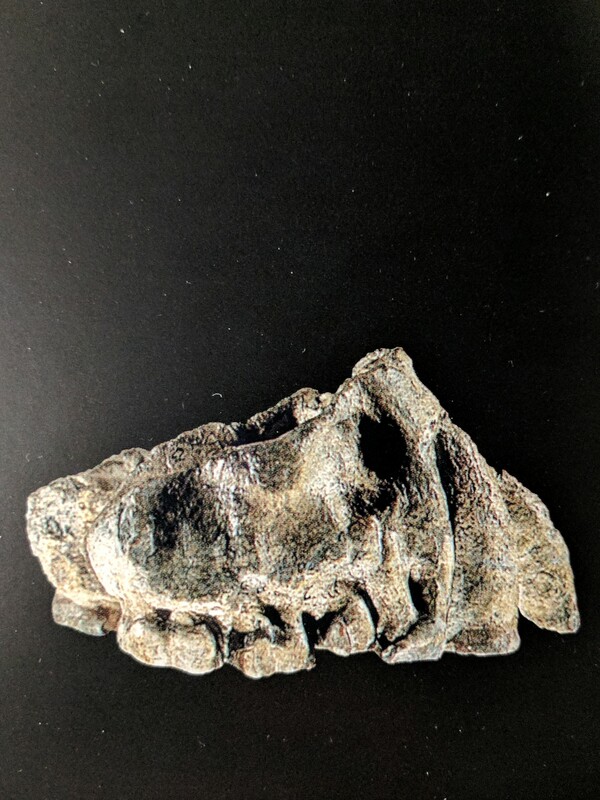 “Australopithecus anamensis -- KNM-KP 29283,” Hominid Fossil Repository, accessed April 19, 2019, http://projects.leadr.msu.edu/hominidfossils/items/show/41.